Conservative immigration hawks in Congress are speaking out against a tentative deal on border wall funding reached by a bipartisan committee Monday. Conservatives in Congress are already blasting the deal, noting that it falls well short of President Donald Trump’s requested $5.7 billion in funding for a physical barrier. The cap on detention beds is also a sticking point for immigration hardliners, as ICE needs funding for beds in order to detain illegal border crossers while they undergo immigration proceedings. GOP aides familiar with the deal told The Washington Post that ICE would have enough funding to maintain current detention levels and to add more beds if needed. “Remember, the original number on the table [for the wall] was around $20-$25 billion. $5.7 billion was the compromise number, and they can barely provide 1/5 of that,” the aide said. Ohio Republican Rep. Jim Jordan, a member of the House Freedom Caucus, was succinct in his criticism of the deal. “While the president was giving a great speech in El Paso, Congress was putting together a bad deal on immigration,” Jordan tweeted, which was retweeted by Florida Republican Rep. Matt Gaetz. House Freedom Caucus Chairman Mark Meadows laid out his specific issues with the tentative deal in a series of tweets Tuesday. 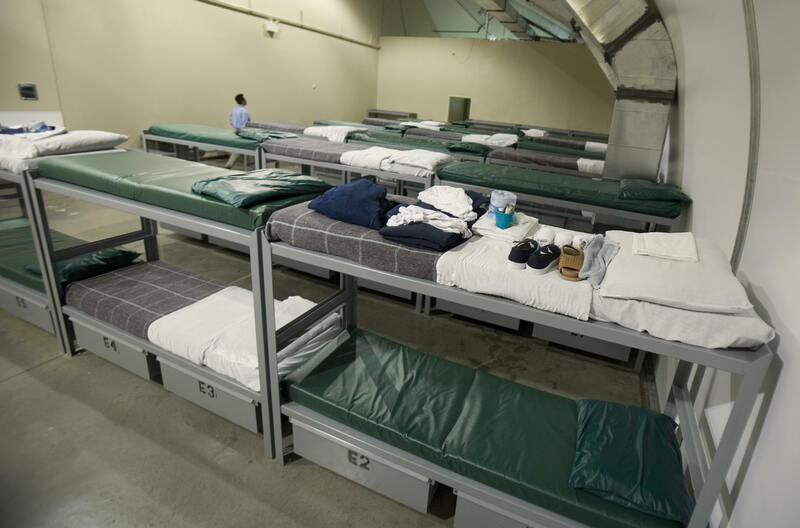 Democrats now want a hard cap on the number of beds at ICE detention facilities. How is that a serious or defensible position? They are openly trying to hamstring law enforcement and make it easier for thousands of migrants (some with criminal records) to be released into the US. Meadows’ concerns about a cap on ICE-maintained beds echo those of current and former ICE officials, who say curbing their ability to detain people makes it more difficult for them to uphold current immigrant laws. ICE Deputy Director Matt Albence told WMAL last week that Democrats were capping detention beds as a “back door” to abolishing ICE. In addition, Meadows slammed Democrats for failing to give the president his entire requested amount for a barrier and urged Trump to take “executive action” to get his wall. Arkansas Republican Sen. Tom Cotton has not reacted to the specific details released Monday. Over the weekend, however, he blasted Democrats for trying to reduce funding for detention beds, something that was reportedly omitted from the final deal. “Democrats have become the party of Open Border radicals & extremists,” Cotton tweeted Sunday. Now Democrats would rather shut down government than let ICE detain illegal aliens, including violent criminals. Amazing! Democrats have become the party of Open Border radicals & extremists. According to government sources who spoke to the Caller on Tuesday, the White House is interested in signing the deal and using existing government funds through executive order to build the wall. UPDATE (12:10 pm): This story has been updated to reflect more recent reporting on the agreement reached about detention beds.